Defining Californian winemaking. Rich, generous, and take-no-prisoner. Scott was an integral part of the Kendall-Jackson winemaking team when KJ was defining California Chardonnay in the 90's. That Cali Chardonnay style is known all over the world as unctuous, ripe, full-throttled. He loves working with Angel funding because you let him make the wines he wants to in the way he wants to make them -- He's old school, and he doesn't want to make a new style of wine just because it's fashionable. If you like gloriously rich Californian wine that takes no prisoners, go and buy everything Scott makes. You will not regret it.
" Former Kendall Jackson winemaker Scott Peterson has scored more than $1 million in crowd-sourced start-up funding on the NakedWines.com web site to launch a new winemaking venture. Peterson, who worked for two and a half years at Kendall Jackson, part of Jackson Family Wines, will produce 2,500 cases of high-end wine, according to an April 15 statement by the wine crowdsourcing site, after raising more than $1 million from its pool of 200,000 investors worldwide. The funding is enough to help him create eight wines over at least three vintages, the statement said. He used the crowdsourced money to buy grapes from prominent Northern California vineyards, oak barrels from French coopers, and to pay for other startup costs. His first release, ROX 2012 Sonoma Coast chardonnay, will be available exclusively to his NakedWines.com investors. At Kendall Jackson, back in the 1990s, Peterson worked with well-known winemakers Andre Tchelistcheff and Jediah Steele. After leaving KJ, Peterson told me, he has worked as a consultant, made his own wines and gone to Argentina and back. He started working with NakedWines.com in September, and continues to consult for other wine brands. The web site funds his production, marketing, packaging and the like, Peterson said, but he's ultimately responsible for sourcing the fruit and making his wines. NakedWines.com's web site says that its "angel" investors pledge $40 per month($480 annually), which is used to invest in independent winemakers such as Peterson. 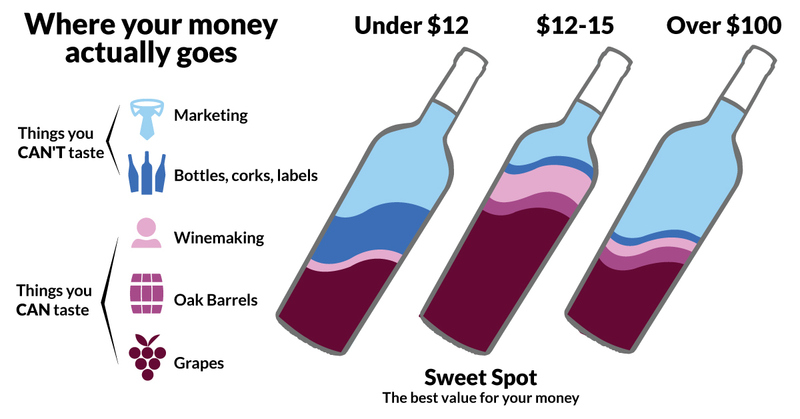 In return, investors get 40 percent to 60 percent discounts on wine purchases, and other perks. Ryan O'Connell, a NakedWines spokesman, said the company started in the United Kingdom about five years ago, and launched in Napa in June 2012." I love cooking with wine ... Sometimes I even put it in the food! Sweet to semi-dry wine lover. Loving my wine tasting journey. I enjoy trying many different wines and NW has helped me to evolve my taste in wines so that I now enjoy many more varieties. This wine is sweeter than stolen honey and if it tasted any better, Id drop my harp plumb through the cloud!